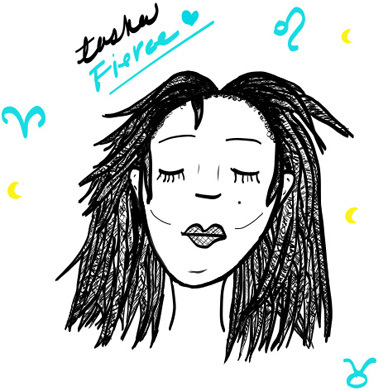 tasha fierce nonfiction, fiction, and poetry written by a crazy queer Black feminist. Since we’re nearing the end of this blog, I thought now would be a good time to answer a question several readers have asked and basically summarize some of the lessons I hope you’ve taken away from our time together here. These are just starting points—I would suggest you do some further reading about thin privilege as well as how to practice FA. Fat people are not unattractive or unable to be attractive simply because they are fat. This became an issue early on in the life of this blog. Fat and beauty are not mutually exclusive. So it follows, saying something like “your face is gorgeous” is really worse than just not saying anything at all. Most fat people don’t appreciate the sentiment that goes along with a statement like that–too bad your body is so damn hideous. You don’t need to comfort or coddle fat people with “well-meaning” pseudocompliments, really. And by saying that I don’t mean you have a license to tell fat people how disgusting you think they are in the name of honesty. This is a situation where the old adage “if you have nothing nice to say, don’t say anything at all” applies. Fat people don’t need you to worry about their health for them. One of the things I hope y’all really take away from this is that fat is not inherently unhealthy or healthy. Therefore, you can’t tell a person’s health by how fat they are. So “concern trolling” really amounts to people getting out their disgust of fat under the guise of caring about the fat person in question’s health. This is why I talk about “concern trolling” so much—it’s not really actual concern and is quite transparent, especially coming from strangers on the Internet. Fat folks can handle their own health issues, thank you. Fat is a value-neutral or positive term. The word “fat” doesn’t need to be dressed up with euphemisms. It’s extremely important that we normalize the neutrality and/or positivity of “fat” if we’re ever going to advance fat acceptance. On the flip side, I wouldn’t suggest you come out and call someone “fat” if they’re not familiar with fat being used as a non-pejorative. Yes, some people will still be offended if you call them fat, so try introducing them to fat acceptance gently and let them get comfortable with fat as a neutral/positive term. Tread lightly, however. Here on this blog “fat” is thrown around on the regular, but we do have to face the fact that outside of this place there’s a lot of people who don’t get that it’s OK to be fat. Fat acceptance requires acceptance of all sizes and the choices fat people make about their bodies. Note “acceptance” and not “approval” or “admiration.” I’ve said this many times but it bears repeating—fat people are not expecting you to do anything but respect them as human beings and respect that they have the right to decide what they do with their bodies. “My body, my choice.” Sound familiar? Fat people should be allowed agency over their bodies without you up in their faces telling them how wrong what they’re doing is. You don’t have to like it, but you do have to accept it. I want to reinforce these points because I think they’re crucial to FA. Hopefully you’ll take these ideas to heart and practice them in your daily life, as you interact with fat people AND as you interact with pop cultural representations of fatness critically. Want new post updates & news in your inbox? Subscribe to the e-mail newsletter. Enter your email address to subscribe to the blog and get notified about new posts by email.